Good news for Apple. DuckDuckGo , the alternative to the Google search engine, will start using Apple maps in the search results of its users. 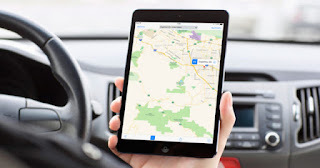 The search engine announced today that it will include Apple maps in mobile and desktop searches thanks to the Apple MapKit JS platform. DuckDuckGo is one of the first companies to rely on MapKit for their data and enhances the privacy that this entails for its users. "WE ARE EXCITED TO ANNOUNCE THAT MAP AND ADDRESS SEARCHES IN DUCKDUCKGO FOR MOBILE AND DESKTOP ARE NOW EXECUTED BY THE APPLE MAPKIT JS PLATFORM. As one of the first companies to use Apple's MapKit JS technology, they now offer their users much more accurate and complete searches, with additional visual features, a gallery of satellite images and regularly updated maps . "WITH THIS UPDATED INTEGRATION, APPLE MAPS IS AVAILABLE IN THE RESULTS OF PRIVATE SEARCHES FOR RELEVANT TASKS, AS WELL AS AVAILABLE FROM THE MAPS TAB ON ANY RESULTS PAGE." From DuckDuckGo have also wanted to highlight the important work of privacy of Apple and its maps , claiming that "getting the privacy you deserve should be as simple as closing your eyes." A game of words that, we understand, wants to highlight the trust placed by iOS and MacOS users in Apple. In 9to5mac they mention that they have also warned that they do not collect data , probably referring to Google, and they do not send any identifiable information such as IP addresses to Apple. And in searches, the location is sent by the web browser, but discarded immediately after use in the results of the maps.